Note: A synopsis printed in Great Britain noted that the rich bachelor was named Mr. Perkins and Willie's surname was Staggers. "The rich man of the village was thoroughly convinced that all his neighbors were after his money. Wendy, a widow, hoped to marry the rich man and help him spend his fortune. The other enemy was Willie, a poisy [sic] individual, who had tricked him in a horse trade. One day the rich man vanished from the village. In due time word was received that he had died in the West. Later Wendy and Willie received letters from a lawyer explaining that the rich man had left his fortune to them jointly, provided they married each other. The wedding was held on extremely short notice. The lawyer slipped off to a neighboring building, took off his disguise and assumed his rightful garb and appearance - that of the village rich man. Then he came back to the house and brought grief to the hearts of the newly wedded pair. They took out his will and showed him a copy of it, but he only looked at it and smiled." 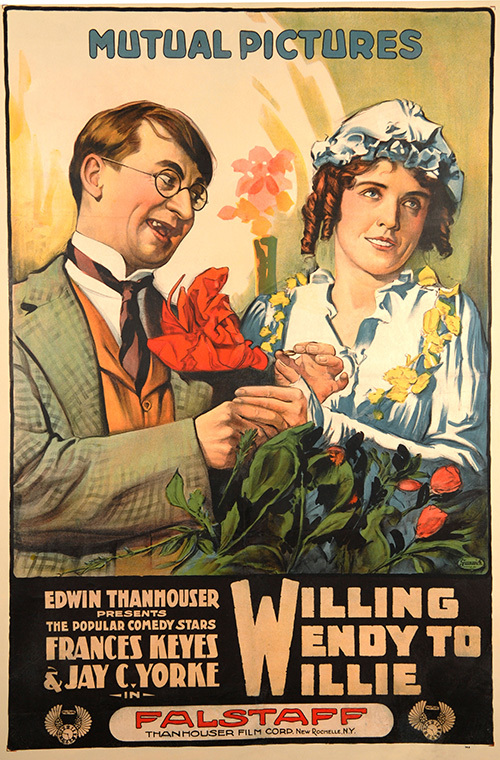 "Rather an amusing comedy in which a rich man pretends that he is dead and leaves a will stating that the spinster next door, who has persecuted him on the matter of matrimony, and another enemy, who tricked him in a horse trade, shall inherit the money on the condition that they marry. The ceremony is performed, the owner of the wealth appears on the scene, and the bride promptly fades away."